The day will be split into several sessions and each of these sessions will have several sports to choose from. We encourage children to choose different sports throughout the day but also promote excelling in a particular favourites. We will have short breaks between each session and these breaks will allow the children to unwind and prepare for their next chosen activity. Lunch will be between 12 and 1 and will also provide a place for arts and crafts. HDO is the perfect place to entertain those who are just starting to enjoy sports as well as those who already have a clear talent for sport. Our coaches range from county to international professionals and can boast great teaching success throughout a number sports. What better place to help your children improve and excel before school starts? HDO has age specific sports (more contact based sports) but also have sports that cater for a mix of age groups. 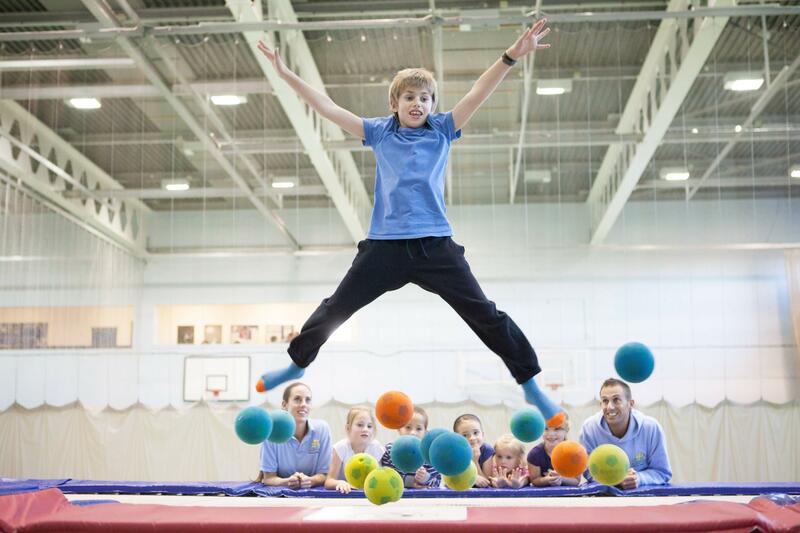 Trampolining for example, benefits from having a mix of age groups as its a non contact sport so poses no danger. HDO knows that having different ages groups or development levels helps children advance far quicker as they have the opportunity to see and learn from those who are progressing ahead of them. We would never mix ages should there be any safety issues. HDO always gives several sports to choose from so siblings have the option to stay together should that be a concern. 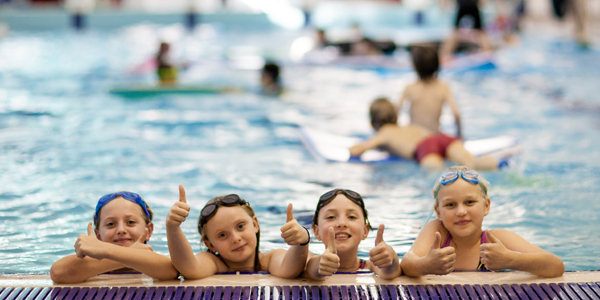 We understand that swimming is a big concern for parents and it shouldn't be. Before any swimming session children will do a non pressurised swim test that allows our lifeguards and swimming teachers to assess swimming levels. Our swimming sessions are always heavily staffed and we are very strict in the policing of the pool to make sure it is as safe as any other sport that takes place. Book up fast… Don't lose your spot. Discounts: 25% off 2nd sibling, 50% off any further siblings (applies to the normal day rate). Badminton - Played with long necked racquets used to hit the shuttlecock back and forth over the net. Scoring points by making the shuttlecock hit the floor on your opponents side of the court. Basketball - A game of speed, incorporating dribbling, passing and shooting to score goals in your oppositions hoop. Cricket - A bat and ball sport, where two teams compete to score the most amount of runs, taking it in turns to field and bat. Dance - Dance combines physical activity with creativity, using movement to express interpretations of music. Field games - This is a variety of outdoor activities including games such as, Capture the flag, Ultimate Frisbee and more. Football - A very popular team sport played by both boys and girls worldwide. In football the ball is kicked between players or dribbled towards the goal to score. Hall games - This is a variety of indoor activities including, Bench ball, Ultimate Dodge ball and more. Hockey - Hockey is played with a small hard ball, players use there hockey stick to manoeuvre the ball around other players to score in the opponents goal. Netball - Originally a girls sport that now has a large mixed following, combining catching and throwing with speed and agility. Rounders - A batting and fielding sport, where teams bat to score as many Rounders as possible by running around the 4 posts depending on how far you hit the ball. Table tennis - A fast game which requires quick reactions and quick thinking to return the ball over the net to your opponents side of the table trying to force them to miss the ball or make a mistake to score a point. Touch Rugby - A version of traditional rugby with less physical contact. The emphasis is on speed, ball handling skills, teamwork and decision making. Water polo - Water polo as the name suggests is a water sport that takes place in the swimming pool, the two teams compete to score goals by throwing the ball into the oppositions net. All our HDO camps offer normal day and extended day options allowing you to book from 8am - 6pm. Holiday Drop Off is perfect for both perfecting existing sporting interests as well as being a great environment to learn new sports. Our team will focus on encouraging children to enjoy activities while also helping them to focus on the task in hand. Our sites are in great secure locations boasting great facilities with several large areas in which to run around and get fit. 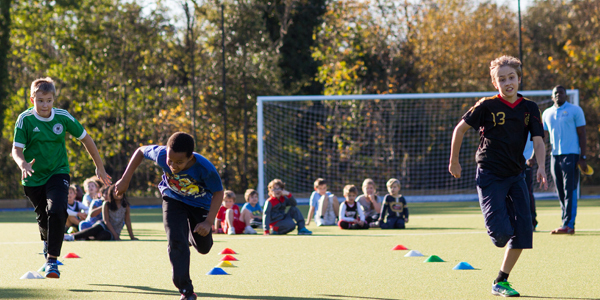 Safety is of utmost importance and our team have years of experience teaching children in sport. Through experience we know that the staff and instructors are what can make a good experience great. Therefore we have simply picked the best staff to work at Holiday Drop Off to help inspire and motivate your children. All of our leaders have a passion for teaching and the drive and dedication to help children achieve their goals. Our staff have experience working with children and are committed to making every child's experience one to remember, we understand first day nerves and any apprehensions and we work hard to make everyone feel welcome and a part of the Holiday Drop Off family. Safety is our top priority at HDO and because of this we follow the recommended guidelines for staff to child ratios from the National Network for Child Care. For pool sessions we have a qualified lifeguard and an ASA qualified swimming instructor on pool side at all times. "Just to say a huge thanks for making the Easter holidays so much fun for Josh and Sam. They had an absolutely brilliant time, were so eager to get out of the house every morning and full of news about what they had been doing during"
"My 5 year old son had a really enjoyable time at the October half term HDO. He has been to other holiday clubs but HDO is by far his preferred option. He really enjoyed trying out new sports like archery, and loves the trampoline, but its the relaxed, friendly and individual approach of the team that makes HDO different and so much better than other holiday clubs. He happily did his first full week with HDO, something I would not have even contemplated with another club"